4x1 HDMI switcher routes High Definition video and digital audio from any one of the four sources to display units. 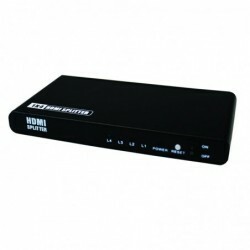 Support High Resolution up to 1920 *1200, including 480i/p, 576i/p, 720i/p, and 1080i/p. 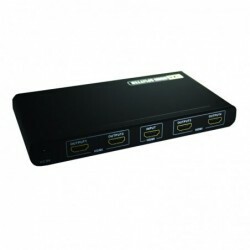 Compatible with DVI by using a HDMI to DVI adapter.